Mzansi is a melting pot of cultures with an abundance of culinary gems offering tastes and flavours from across the continent. From satisfying Ethiopian berbere-infused stews and Moroccan tagines to finger-licking shisa nyama and aromatic Malay-spiced curries, here’s your itinerary to South Africa’s best African restaurants. Have you got a favourite African restaurant? We’ll be awarding the best African eatery in your province this October at the Eat Out Mercedes-Benz Best Everyday Eateries. Cast your vote by reviewing your favourite now. Bringing together the key ingredients of dishes from various African cuisine, Asanka is a sort of melting pot for the flavours of our continent, presented with finesse and the distinct signature of young executive chef Rouget Bagley. His Moroccan-spiced lamb loin with sweetened soya parsnips, apricot jus and purée, sweet potato confit and cauliflower pueée remains a crowd pleaser, and the okra stew brinjal made with poached egg and sautéed spinach also comes highly recommended. 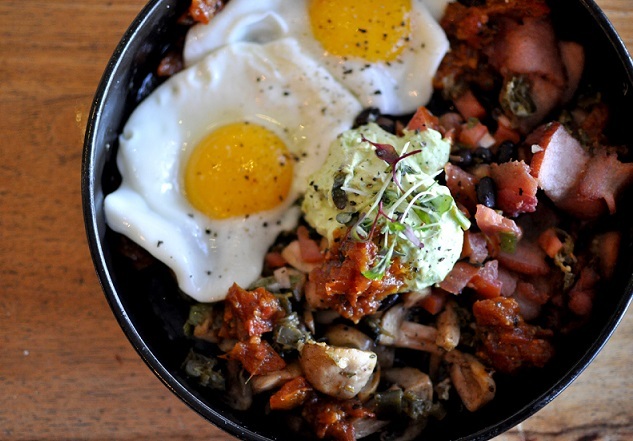 It’s on the higher end of the price range, though: you’ll spend about R300 on a meal. There are few better ways to spend a Sunday afternoon – whether be it in summer or winter, given our cheerful climate – than at Chaf Pozi, where the atmosphere positively pulsates with verve. It could be the adrenaline of those thrill-seekers jumping from the Orlando Towers, or the spell of the electrifying music, but it draws you in again and again. Each time, you’re promised true African hospitality as you enjoy generous servings of perfectly braaied meat alongside strangers on long communal tables. 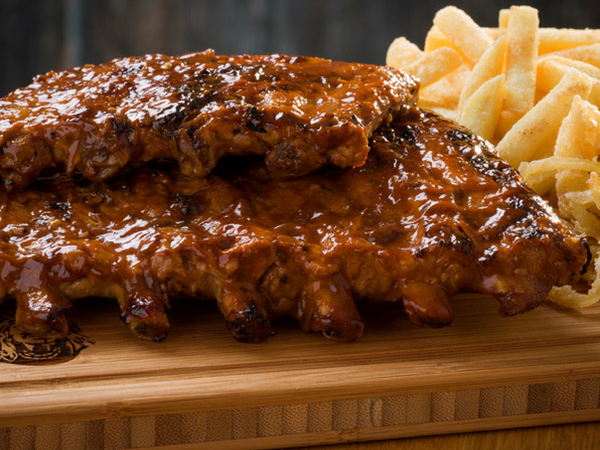 A tower meal, at R275 per person, comprises chicken livers, short rib and chuck, wors, grilled chicken, pork chops, lamb chops, pap with gravy, chakalaka, coleslaw, veg of the day and the dessert of the day. If you’re ever seized with the unshakeable desire for good jollof rice, Hombaze will answer your prayers. Wedged next to a barber shop and boxing studio atop an Italian coffee house, Hombaze’s setting embodies the eclectic commerce culture of our African metropoli. From traditional Ghanaian fare to Eastern Nigerian classics, the menu is a sample of some of the best dishes our continent has to offer. Try the goat-meat pepper soup as a main or starter (the hotter, the better, if you can bear it), or eba (or garri) served with stock fish. Expect to spend about R250 for a meal per person; there is also a kiddies’ menu. 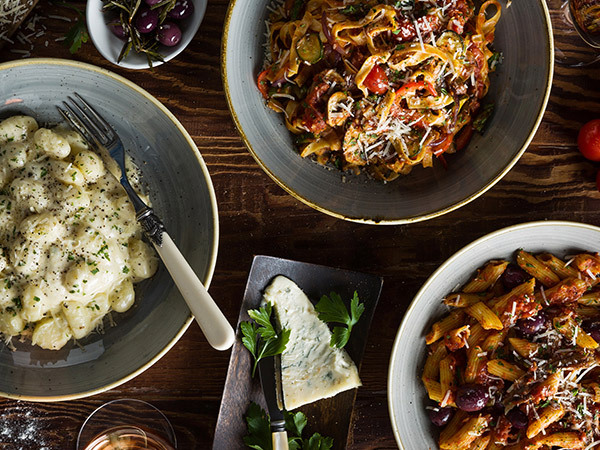 Located in the upmarket Nicolway Shopping Centre in Bryanston, Licorish is a trendy contemporary African restaurant with influences from other cuisine as well as a street food twist. The setting is elegant and the dishes refined, yet playful. 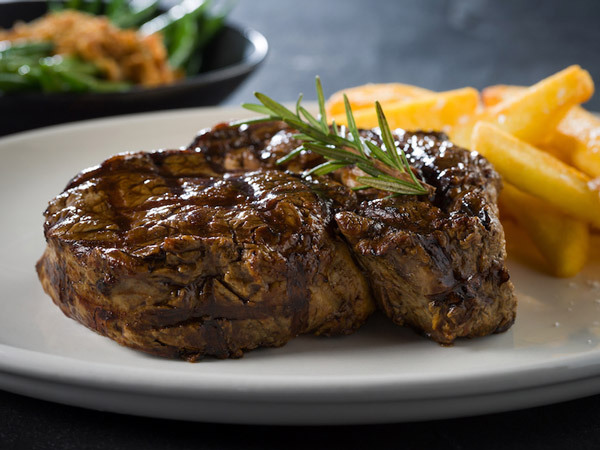 Try the Kalahari truffle-crusted beef fillet with mushroom velouté and baby spinach or the pulled pork braai broodjie, a dish off the street-food menu, with red onion, smoked mozzarella, apricot jam, tomato and jalapeños and a side of potato skins. The staff are warm and accommodating and, given the restaurant’s proximity to the Sandton CBD, Licorish is a great place for a work meeting. On average, a meal will cost you about R300 per person. Mash Braai House. Photo by Patrick Furter. The music is magical, the food soul-warming, the vibe electric, and the staff welcoming – this is African hospitality at its finest. Located at the The Buzz Shopping Centre, Mash Braai House is one of the city’s more swish shisa nyamas, with low lighting, elegant décor, expansive views of Fourways, and exquisite plating that makes you feel like you are in a fancy lounge-bar. In addition to the usual braaied meats – chicken, beef short rib and chuck, ox liver, and lamb chops – they serve traditional South African dishes like tripe, skopo and stews. 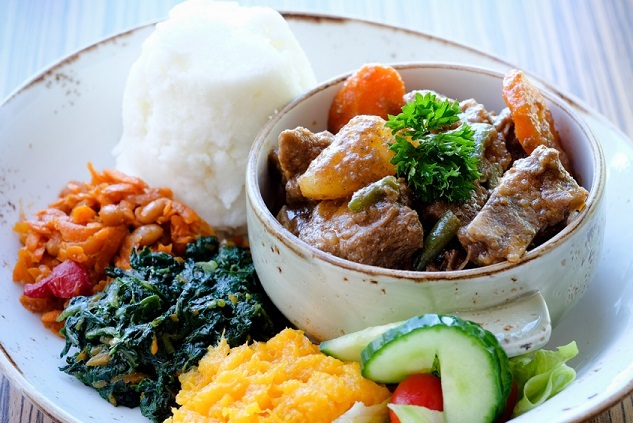 Lamb stew and pap, served with morogo, butternut and chakalaka will cost you just R89. Moyo always feels festive. Having had your face painted with an African motif pattern upon arrival, sit back and enjoy the plush, recently renovated restaurant. Try the famous Oxtail Amos, braised with butterbeans and carrots in red wine beef jus, or the Mozambique peri-peri prawns. The menu changes seasonally, and the prices, while higher than average, are justified by the quality and quantity, and overall experience. An average meal will cost about R400. Roving Bantu Kitchen. Photo supplied. Situated in the suburb of Brixton, on the outskirts of the inner city, Roving Bantu Kitchen is more than a restaurant, it’s an experience of Joburg from both a historical and contemporary perspective. The establishment is the embodiment of the exuberant owner, Sifiso Ntuli, whose spirit is firmly rooted in this community. The man is not only responsible for the delicious food served there – from sugar-bean curry, rotis and magwinya (vetkoeks) to koeksisters and ground nut and coconut chicken – but also does tours of the city for a full-on Jozi experience. Look out for braaied jerk-chicken Sundays, live performances and Roving Bantu Treks through Brixton – beginning with a cuppa at the restaurant, then a guided walking tour of places of historical significance, ending with a hearty lunch back at the eatery. 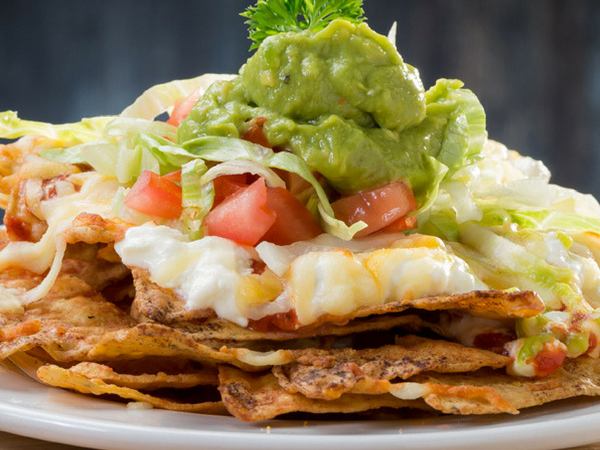 The menu changes from time to time, so it’s best to call ahead to reserve a place and inquire about the menu. Lorraine Tlaka from South Africa and her husband, Ayela Abe, from Ethiopia, have become big entrepreneurs in Sunnyside, Pretoria. They have recently extended their business and now run an Ethiopian guest house behind the restaurant. There is a range of smaller ‘shops’ within the compound of the restaurant providing a range of services such as hair and body treatments as well as selling bright clothing. But it is for the food that you should visit – the standard injera made with fermented white rice flour now also has a dark companion made from brown rice flour. Order the mabarami, which comprises injera with little portions of all the different accompaniments such as ibe, shuro wot, kik alicha, tibs, yeshekla tibs, kifto and many others. Chef Felix Okoua has moved his restaurant from Arcadia to the edge of the city. It is now situated right next to the British Consulate and obviously attracts many more foreigners and visitors. It seems slightly isolated, but allows for the lovely West African music to be pumped up a notch and the vibe (and wonderful savoury aroma of meat grilling) when one arrives is very inviting. The cuisine on offer is a mix from Ghana, Ivory Coast, Mali, Guinea, Senegal, Nigeria and Gambia, and at any time of the day one can delight in dishes such as goat stew, vegetarian mafe or peanut stew, grilled tilapia, tomson fish, Congolses pondu or cassava stew, and stiff pap like cassava kwang. On Sundays they often set up a buffet, allowing you to try all of these dishes. This small eatery in the Sancardia Shopping Centre (on the corner of Steve Biko and Stanza Bopape roads) predominantly caters for workers needing lunch. The items they sell include chicken and rice, mogodu and pap, beef stew and rice, and a lovely chicken liver stew. Given the target market, prices are mostly under R40 a plate. This peculiar restaurant has two separate sections, each serving entirely different cuisines. On the one hand is the Ghanaian section, which offers such delights as keny keny dorkunoo, a slightly fermented maize product, which includes the husks of the maize and is boiled for over five hours; fried fish; and an array of stews (called soups) such as bankou and konketda made from cassava and very much like our own pap, but a lot more gluey. On the other side of the restaurant is the Nigerian section, which offers such delicious items as Bongo or palm ‘soup’ (rather a stew), dried fish stew (draw ogbono), isi-ewu made from goat, nsala that can be made from okra or dried fish, a yam porridge, the famous jollof rice dish and a wonderful akamu, a maize drink. Johnpaul Udechukwa is the chef here. A true North African jewel in the culinary scene of Pretoria, Moroccan House ticks all the boxes for experiencing cuisine from North Africa, with a large roof-top dining are, drapes billowing in the breeze, wonderful aromas and soft candle-light glowing from handcrafted glass lamps. For a truly Moroccan experience, order the snack platters and enjoy kefta, hummus, babaghanoush, carrot-and-garlic spread, briouats de fromage (herb pockets), kebab b’djej, saffron fishcakes and many, many more delicious treats. This is a lovely South African restaurant that sells the famous South African Hardbody Chicken, tshothlo, mogodu, cow heel, curry Chicken, maotwana, ox liver and many more. Dishes are served with a choice of starches and three salads. Nyama Choma is a buffet restaurant at the Lesedi Cultural Village near Hartebeespoort. The buffet costs R190 per person and includes South African foods such as pumpkin, spinach and cabbage, beef stew, ostrich, crocodile, chicken and lamb. A big drawcard is the cultural shows at set times of the day. One of the stalwarts of African cuisine in Pretoria, Zemara has been around for a long time. They prepare some of the best West African food and you will always find flavours such as chicken with palm nut or peanut sauce, goat, tripe and grilled tilapia, fried plantain, saka saka and bean dishes. But the best way to experience this restaurant is to ask them to prepare a buffet beforehand, and sit back to savour the flavours of this part of our continent. Crab curry at Capsicum. Photo supplied. 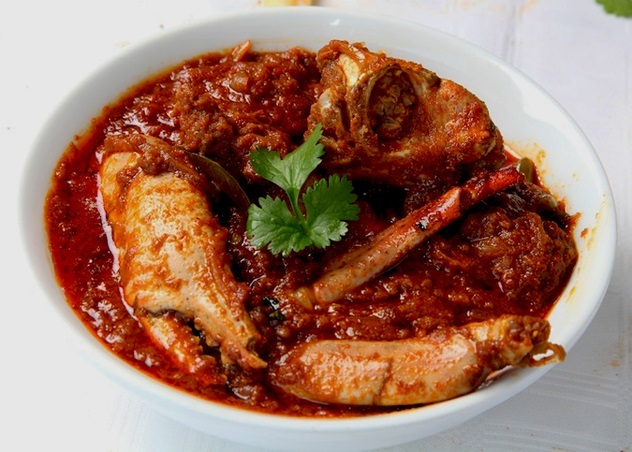 This perennially popular restaurant at The Britannia Hotel is famous for its real Durban curries. Start off with proper samoosas before moving onto mutton curry in a bunny chow, or tripe curry made with fennel, cumin, fresh ginger and garlic. There are also good roti rolls with the likes of curried broad beans or mutton, biryanis, barracuda or salmon curry, and peri-peri paneer. This braai lounge specialises in both African cuisine and delicious shisa nyama in a trendy setting. Expect meaty braai boards with wors, chops, wings, brisket, jeqe, chakalaka and pap, or go for traditional tripe, chicken giblets curry, or pork trotters served with a side of dombolo. 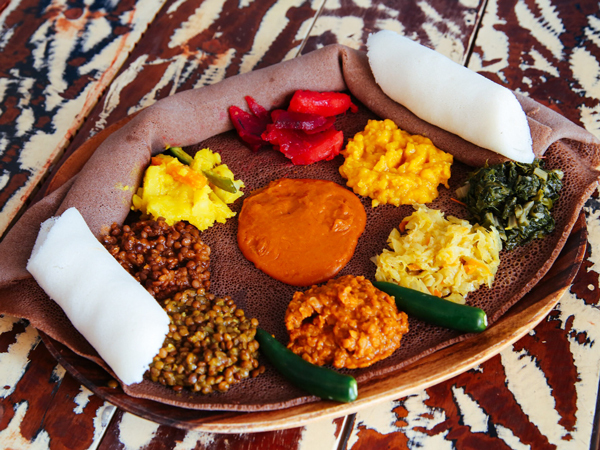 This popular spot serves up authentic Ethiopian and Eritrean cuisine. Meat dishes include doro wot with marinated chicken, onions, garlic and ginger and berbere; derek tibs with mutton cooked to perfection with awaze (an Ethiopian chilli sauce); or the kitfo special with beef tartare mixed with kibe and chilli and served with spinach. Vegetarian dishes are also popular, with options like split yellow chickpeas with onions and turmeric, or sautéed mushrooms with tomato and awaze. Wash it down with some spice tea or mint tea, or bring your own wine. This new shisa-nyama spot on the beachfront is serving up wholesome Mzansi flavours accompanied by jazz and sea views. Build your own shisa-nyama board with the likes of traditional wors, beef chuck and brisket, free-range rump, T-bone and succulent chicken. There are also bunny chows, wors rols, magwyna, and sides of Durban-style spicy pineapple, mfino and nuts, and bhatata with chakalaka and corn pap. This Umlazi hotspot attracts both locals and tourists. Soak up the township vibe at lunchtime with shisa nyama. Choose your meat from the butchery – there’s a selection of rump steaks, T-bones, pork chops and chicken wings – then pass it on to a braai master to cook to perfection. Team it with pap, dumplings, chilli sauce, live tunes from the DJ and a beer. Celebrate Mozambican cuisine at this popular eatery with rich meat and seafood dishes doused in various combinations of peri-peri, garlic, lemon and butter. Highlights are chicken livers, trinchado beef, fish cakes, slow-cooked giblets and grilled calamari. Get the best of both worlds with a combo. The imported 2M beers are a refreshing feature. Addis in Cape. Photo supplied. This extremely popular spot was highly commended at the 2015 Best Everyday Eateries, and with good reason. 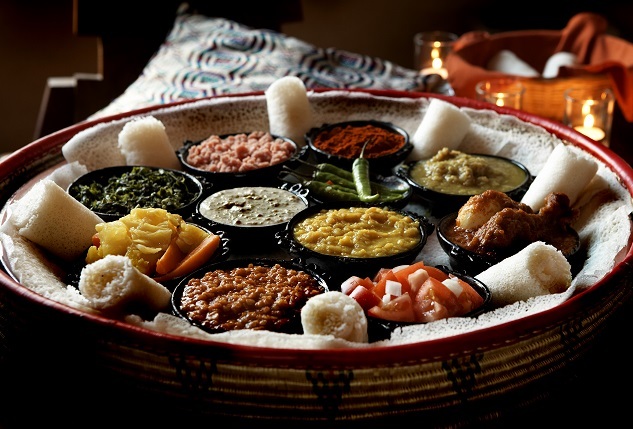 Ethiopian dishes here are served on one central sharing platter to encourage communal eating. 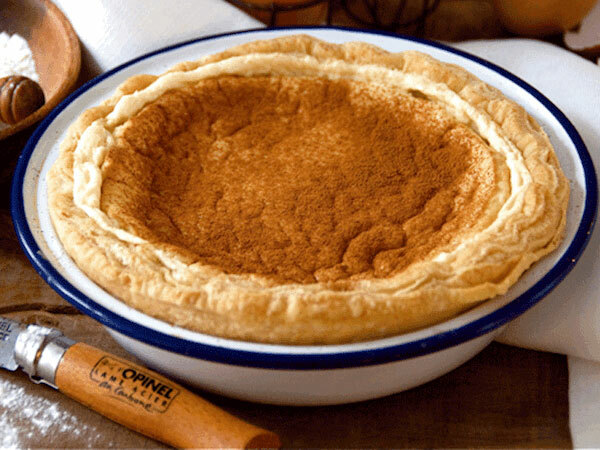 Use the giant sourdough injera to mop up the array of saucy stews that are infused with spicy berbere like the slow-cooked lamb, prawns, or the vegetarian split chickpeas with turmeric. This is a use-your-hands feast with plenty of subtle spice flavours. Pro tip: Don’t leave without experiencing the mini coffee ceremony. Situated in the heart of buzzing Woodstock is this SA-inspired braai venue. Those looking for a taste of local can expect a menu packed with options like boerewors, chicken wings and drumsticks, chops and beef. Pair it all with Xhosa bread or pap, and a hit of chakalaka. Eating with your hands is a must here. Enjoy a taste of North Africa at this hidden gem. Sip on mint tea out of Moroccan tea pots as you share meze platters and cheesy flat breads and m’smen with freshly made babaghanoush and hummus. For something heartier, go for the meltingly tender and beautifully aromatic lamb tagine. This is the spot for flavourful Cape Malay cuisine paired with jaw-dropping views. Start off with a delicious platter of dhaltjies, samoosas and creamy patata warras (deep-fried mashed potato balls with mustard seeds) and an extremely hot dipping sauce. Follow this with curries of prawns, lamb on the bone, chicken, or lentils with spinach and mushrooms. They also offer a house speciality of denningvleis: succulent lamb cubes cooked slowly with mouth-puckering tamarind paste. This soulful spot sits in the buzzing hub of eccentric Observatory. Expect a multitude of African flavours with options including spicy samoosas, Xhosa-style spinach, pap and veg, curries, potjies, Cape bobotie, and umngqusho with lamb knuckle stew. The vast menu here features tastes and styles of cooking from the far north of the continent down to the Cape. Flavours range from hot and spicy to soft and gentle with dishes like Zanzibar tomato soup with chillies and ginger, South African roosterkoek, Kenyan patties with maize, Botswana seswaa masala (a slow-cooked stew with organic venison), Tanzanian mchicha wa’nazi (a wild spinach dish with fresh coconut), and Egyptian lentils with yoghurt. End it off with the Moroccan orange-and-walnut dessert. The entire menu is served tasting-menu style for guests to have the opportunity to explore each cuisine in one sitting. 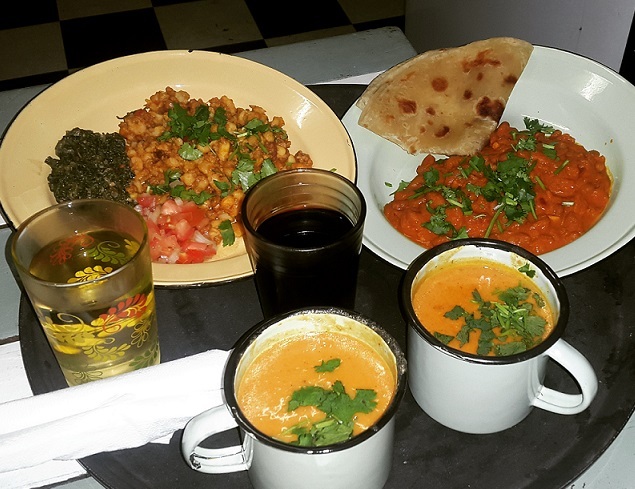 Transport yourself to the Horn of Africa and visit this tiny Ethiopian restaurant that’s quietly nestled on Shortmarket Street. It’s owned by Ethiopian-born Yeshi Mekonnen, who has been running this charming eatery since 2011. Main meals – all served with traditional teff flour injera – include key wot (lean beef stew) with berbere; yebeg tibs with mutton, rosemary and onions and a hint of awaze (chilli paste); and spinach that’s been slow-cooked with beef cuts, onion and garlic for maximum flavour. 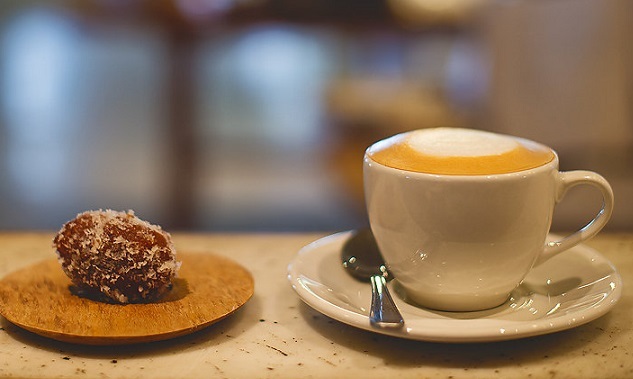 The restaurant also offers Ethiopian coffee and traditional spiced tea with cinnamon and cloves. This rustic and charming restaurant on Long Street transports you to Ethiopia with a space that’s filled with wooden sculptures, antiques, pot plants and traditional materials draped throughout the dining area. Enjoy your injera with dishes like gored gored with lean beef and spice butter; doro wot with spiced chicken that’s simmered in berbere; or an Ethiopian festive platter with a taste of all dishes. 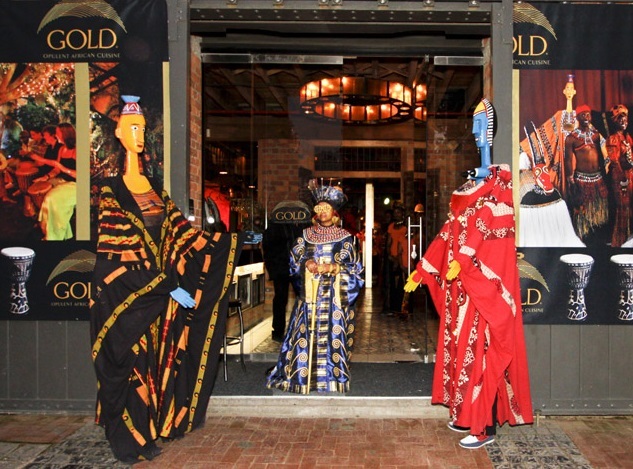 Enjoy an array of African cuisines at this festive spot. There’s Mozambican chicken livers and crocodile to start, lamb curry, Moroccan tagine, kudu, Zimbabwean dovi chicken or Malagasy fish for mains, and malva pudding or banana cooked in rum and Amarula or dessert. While this spot might be more for tourists, you’ll still be able to enjoy good marimba band music and tasty food here. Kick things off with Themba’s meatballs, or chakalaka salad with curried mango and sardines, before moving onto mains of slow-roasted Karoo lamb, oxtail curry, crocodile tail, tripe, or steamed ox tongue with mustard sauce (order your main with a choice of pap or umngqusho). This is a popular spot with tasty African classics and a fun vibe. Enjoy everything from starters of calamari dovi with molasses and harissa or crocodile tail pies with orange salsa to mains of grills with African spinach and nhopi dovi, tagines and potjies, Senegalese line fish, Nigerian meat kebabs with suya basting, or Maputo peri-peri spatchcock chicken. End on a sweet note with SA-inspired peppermint crisp pud or Amarula ice cream. An essential tourist experience. This tourist hotspot is still drawing in the crowds with its braai fare and festive atmosphere. Select your meat in the attached butchery and then hand it over to the talented chefs who cook it over the coals. Eat it with your hands, accompanied by pap, salads and delicious house chakalaka. Bring your own drinks in a cooler box or buy them from the shebeen across the road. The restaurant that was once located on bustling Long Street is now giving Obs residents a taste of dishes from Ethiopia. The value-for-money menu features veggie dishes like gomen (spinach and greens), shiro wot (spiced chickpea flour cooked in berbere) and atkilt with misir (curried veggie stew with lentils). Meatier options include tibs (chopped lean beef with berbere spices) and gored gored (beef with spiced butter). End off with a pot of Ethiopian coffee. Situated on the Babylonstoren Estate in Klapmuts, Babel represents truly South African food heritage, creativity and architecture with some Dutch-style Delft touches. Dishes, which all feature fruits and vegetables grown in the garden, might include a hot pot of smoked quail with waterblommetjie and bobotie cream; spicy tomato soup with line fish and West Coast mussels; and rooibos-poached guava with Jersey milk yoghurt. Bertus Basson at Spice Route. Photo supplied. 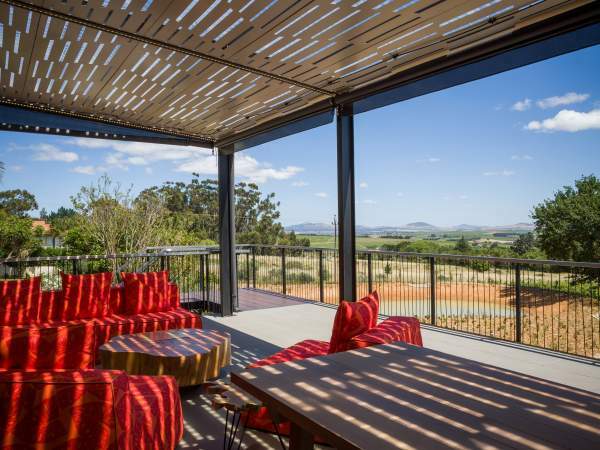 The Spice Route destination showcases a wealth of South African highlights, like a biltong shop, a local brewery and wine tasting – not to mention Bertus Basson’s modern South African-themed eatery. 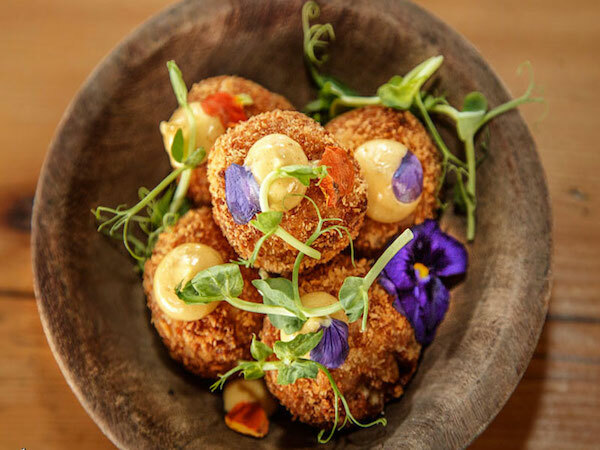 Tuck in to playful, locally inspired dishes like spicy beef-and-tomato bredie samoosas; crispy Malay calamari with curry sauce; traditional braised lamb bobotie with yellow rice; tomato-and-coconut chicken curry; and Tannie Hetta’s apple pie, or a milk-tart milkshake for dessert. 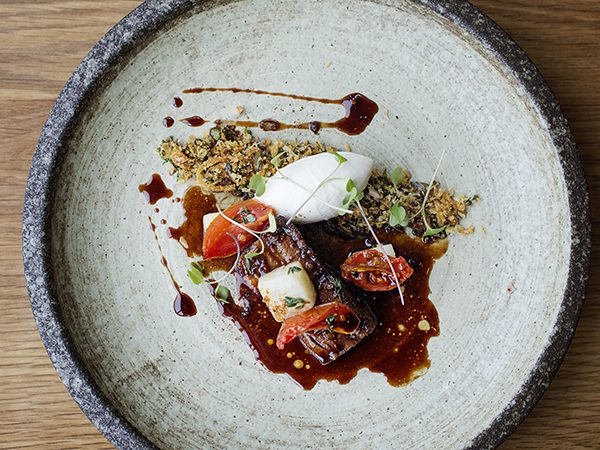 The farm shop, museum and restaurant all offer a nod to the heritage of the Cape Winelands. The menu pays homage to Cape cuisine with the likes of a savoury blue cheese and yellow mielie waffle with Cape ham; Cape seafood and aniseed bowl; ox tongue terrine with house pickles; Franschhoek trout; venison with Cape snowbush; and Pierneef terrine with naartjie gelée. While we take care to ensure the accuracy of our information, please note that some details may change without our knowledge. Tell us about your favourite African restaurant in the comments section below.